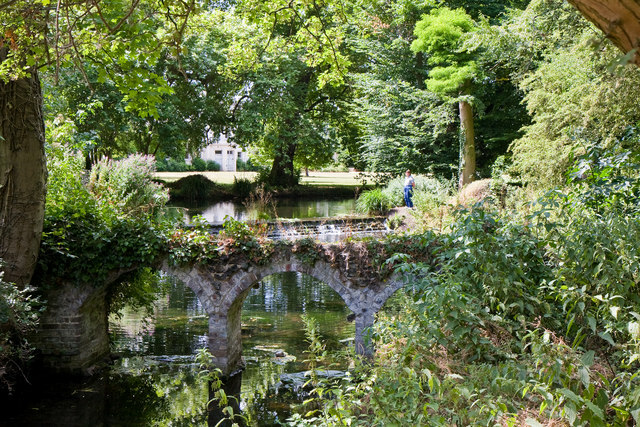 Looking towards a lake beside the house from a bridge over one of the arms of the River Wandle. The bridge in the foreground appears to be purely ornamental whilst the weir behind controls the lake. This is one os a number of man made diversions to the Wandle's main course through the park. The park is a National Trust property and is open to the general public - info at Link .